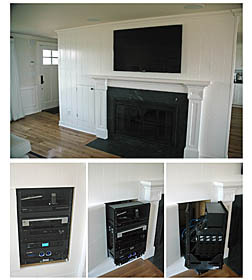 Many Fireplaces are a bit too high for care-free viewing and a traditional "tilt-mount" won't do the job effectively, a "Pull-Down" type mount from MantelMount will fix the problem. 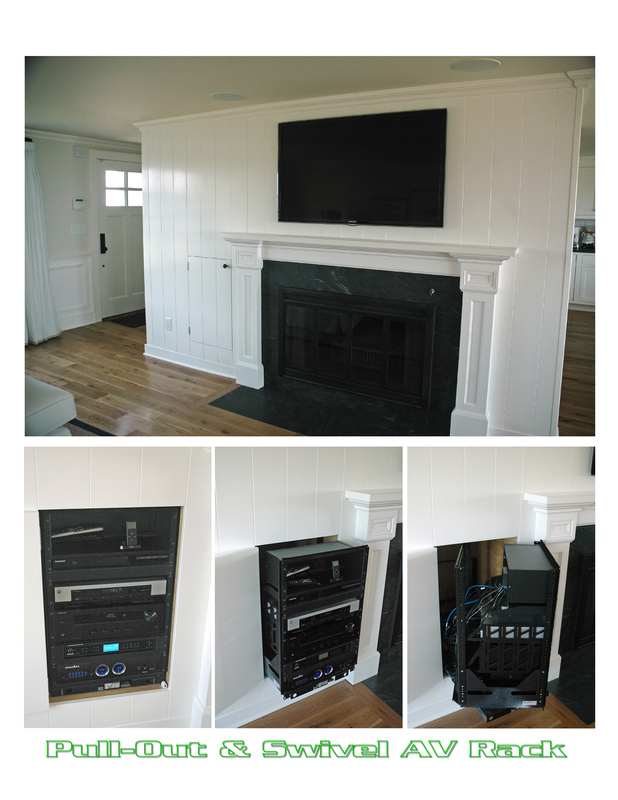 Many options abound, such as integrated handles, temperature sensors, Soundbar mounts and in-wall recessed versions. 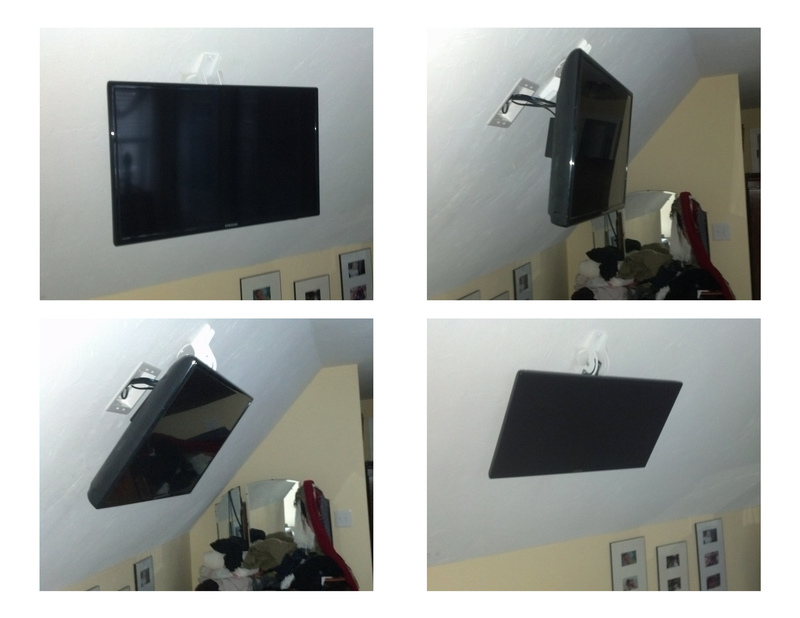 With very little effort, pull down the TV to any height and it will stay put. 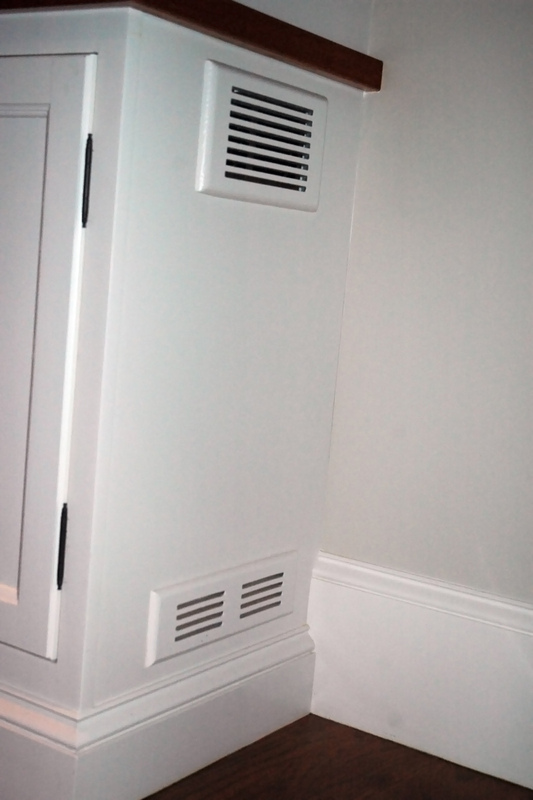 Keeping components cool in cabinets, enclosures and closets is very important. 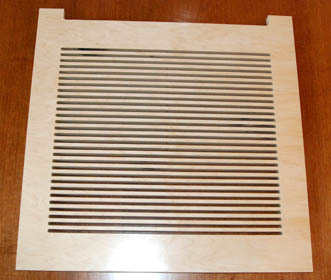 Custom grilles (supplied by Cape Cod Air Grilles) are sued to allow airflow. 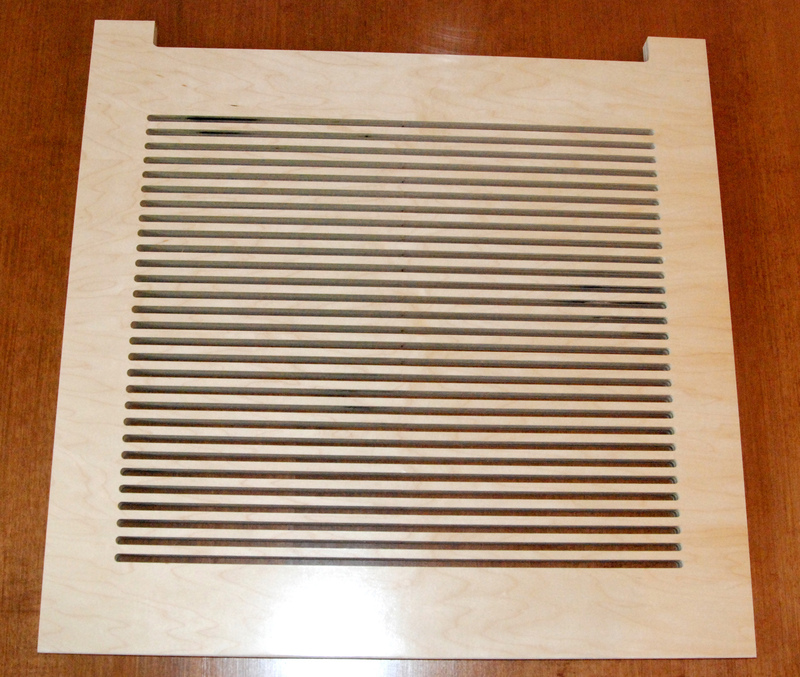 A custom made vented shelf with spacing for wires, by Jim Shaw of Shaw Woodworking. 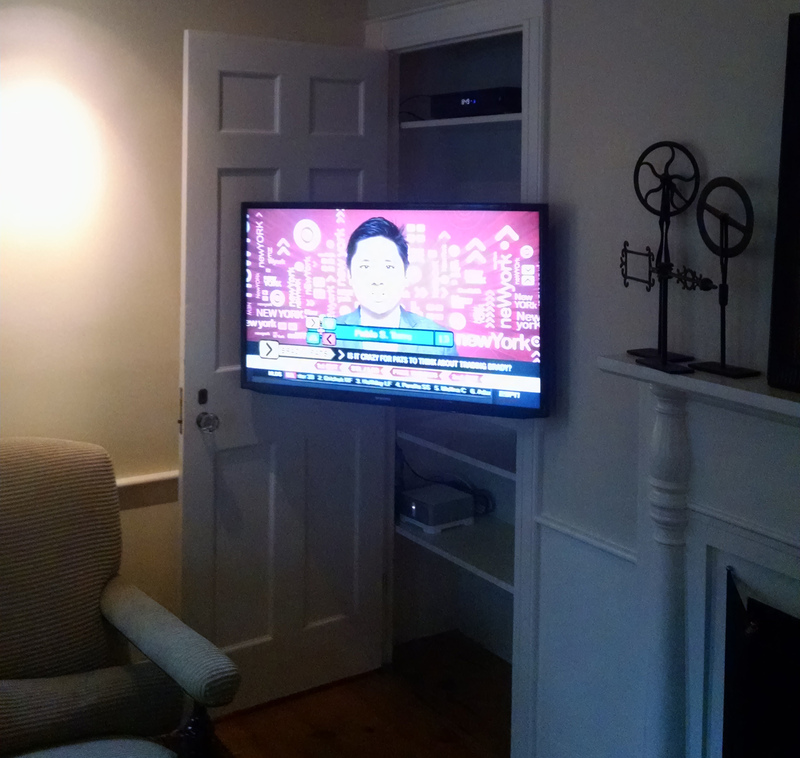 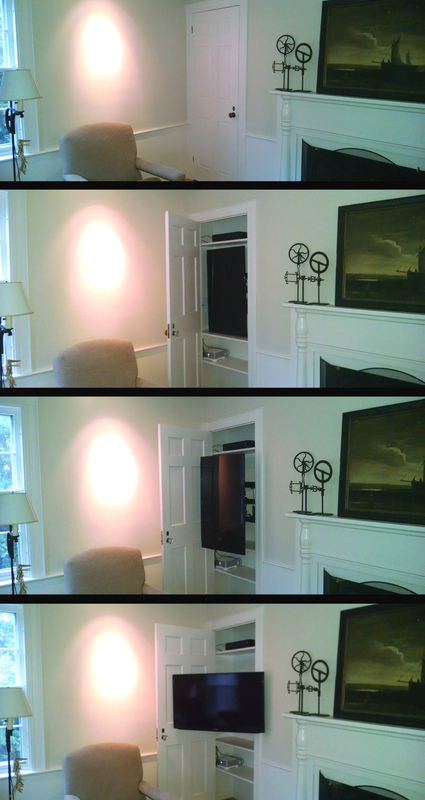 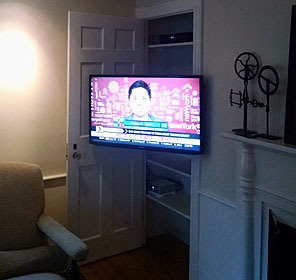 This old house had no place for the TV, so we decided to install it in the closet, vertically. 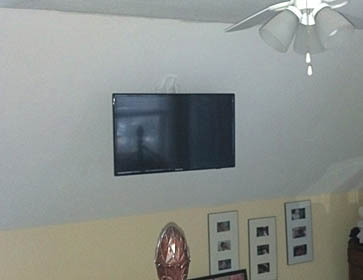 Then you can pull it out, swivel it to Horizontal and point it towards the watching position. 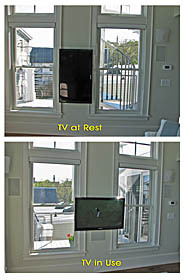 Hiding TV's in the main living area is common. This is a unique solution to hiding a large TV in the Living Room TV Lifts are often used - often at the foot of a bed. 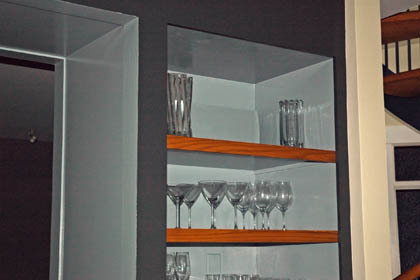 You probably can't see the speaker hidden on the shelf. 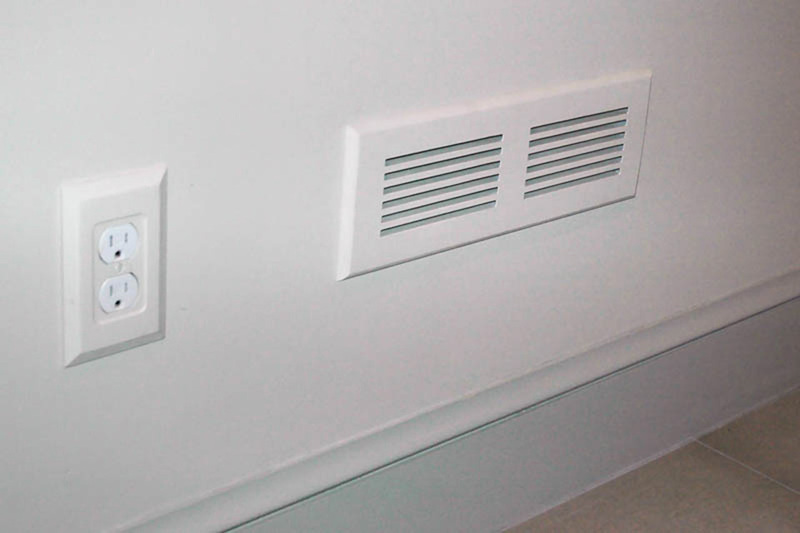 Triad Speakers will color match their speakers to any color. 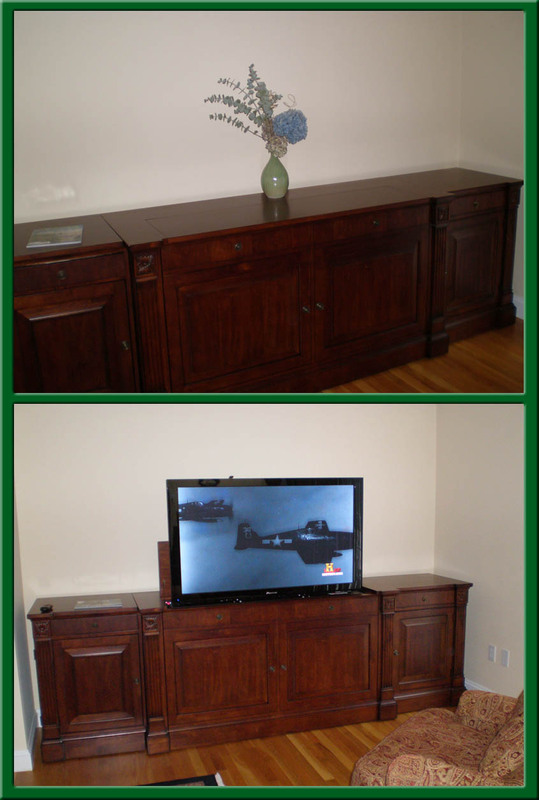 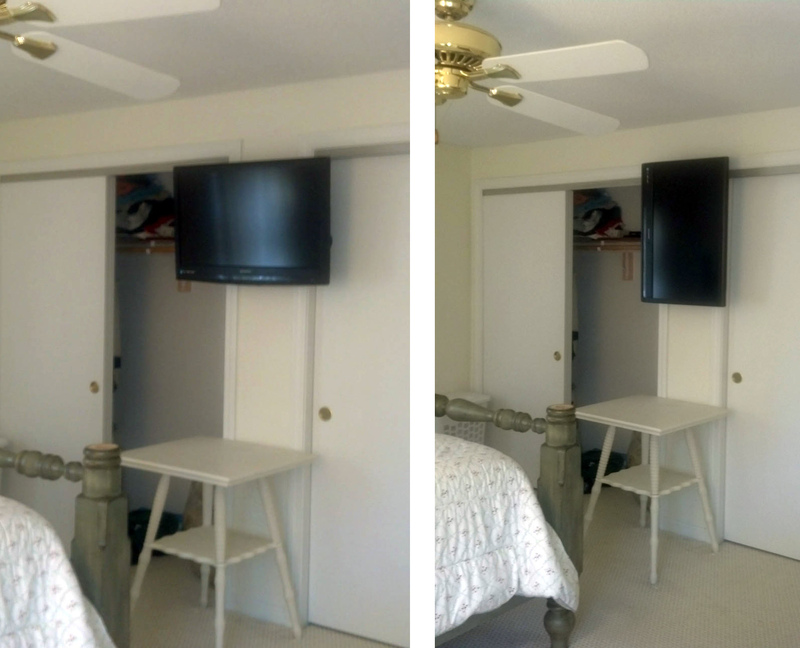 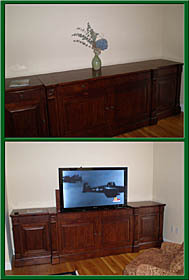 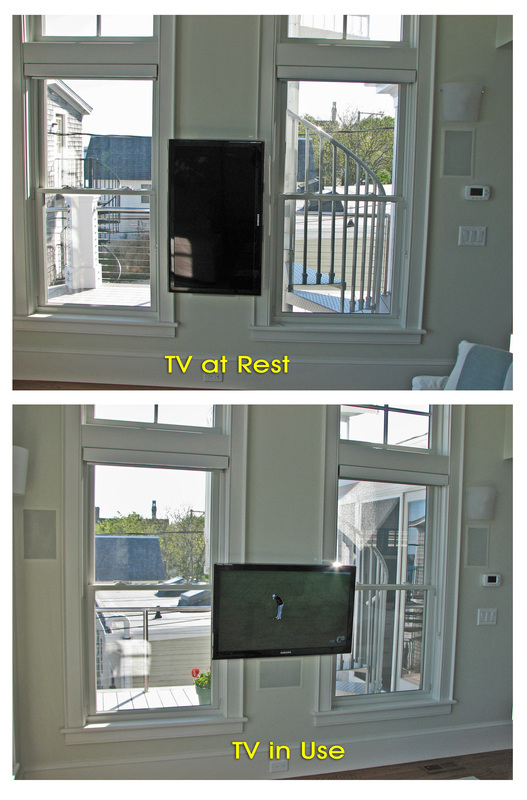 Allowing a TV to be viewed from the Living Room, or the Kitchen via a swing-arm. This TV would have been fine mounted on the vaulted ceiling, but it happen to be in the footpath of teh bedroom. 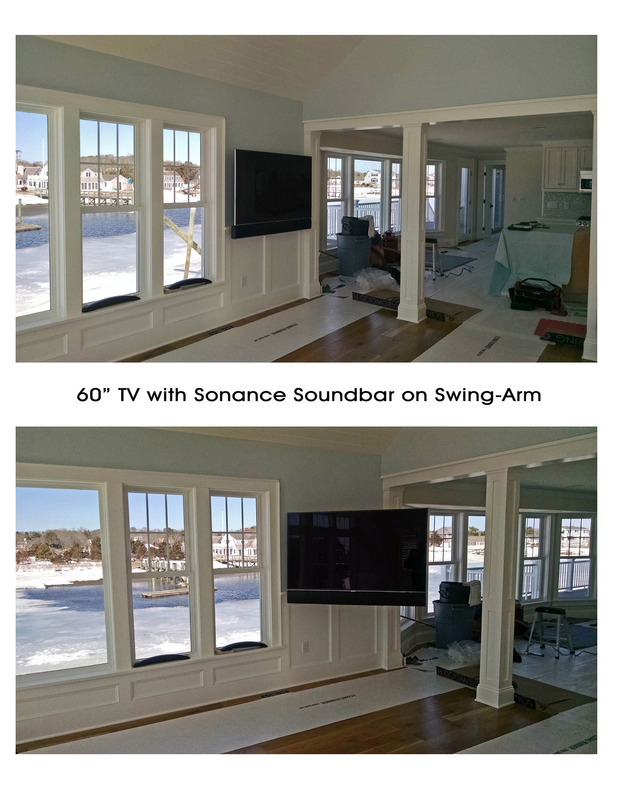 Soundwaves created a latching system that keeps it out of the way. 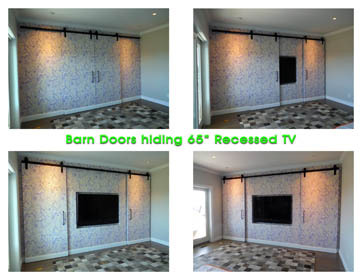 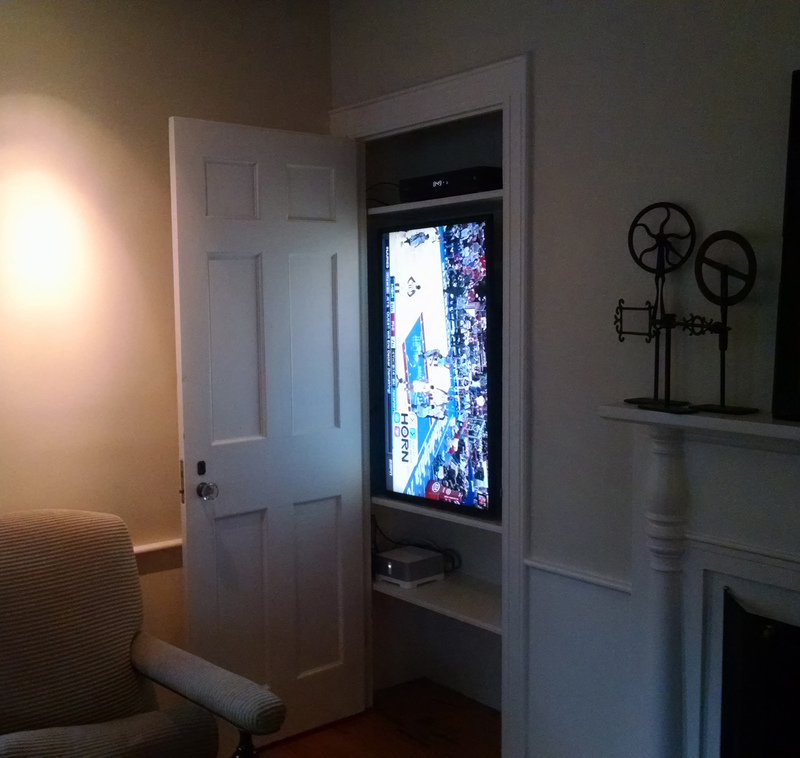 Drop down screens allow a Home Theater Room to be used in many other fashions. 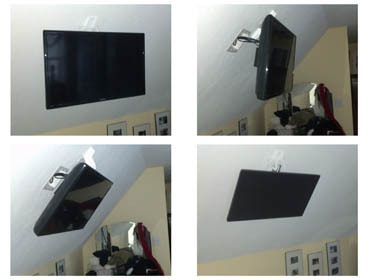 The screens can also be built into the ceiling or a soffit.